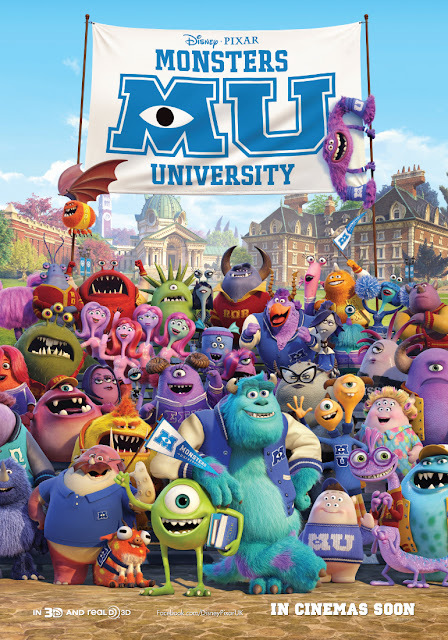 We were privileged to attend the amazing screening of the new Disney Pixar movie Monsters University in 3D......A truly amazing movie with a fantastic array of characters Mike had always dreamed of becoming a scarer so he studied very hard in hope of achieving his deams....But when mike meets sulley at the Monster University ......mikes dreams of becoming a scarar are soon dashed. The movie is amazing as you follow mikes and sulley quest to become scarers lots of amazing adventures and super funny movie moments followed as the pair become friends...we absolutely loved the film and cant wait to watch it again....Another amazing movie that we look forward to adding to our Disney collection. Screaming with laughter and oozing with heart, Disney•Pixar’s “Monsters University” is directed by Dan Scanlon (“Cars,” “Mater and the Ghostlight,” “Tracy”), produced by Kori Rae (“Up,” “The Incredibles,” “Monsters, Inc.”) and features music from future Rock-and-Roll-Hall-of-Fame–inductee and award winning composer Randy Newman (“Monsters, Inc.,” “Toy Story 3”). The film opens in UK. cinemas on July 12th 2013, and will be shown in Disney Digital 3D™ in selected cinemas. 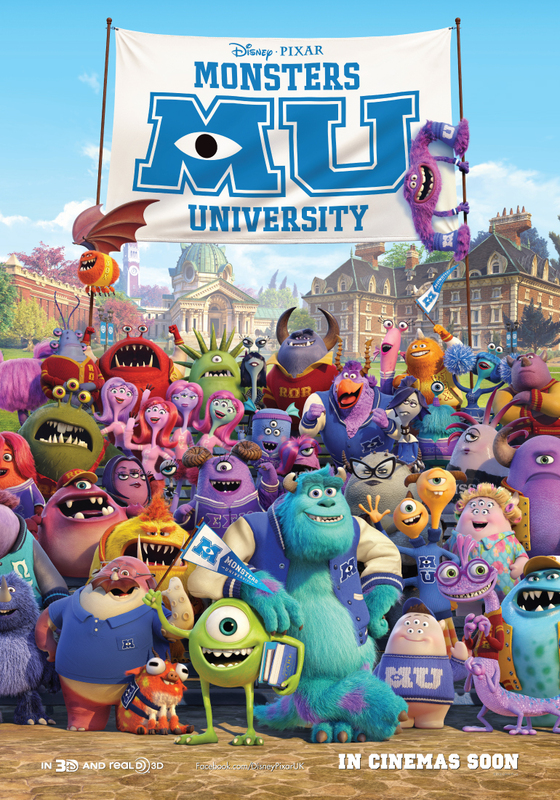 We attended the Monster University Screening...All opinions are that of our own and we have not been instructed in what we write.